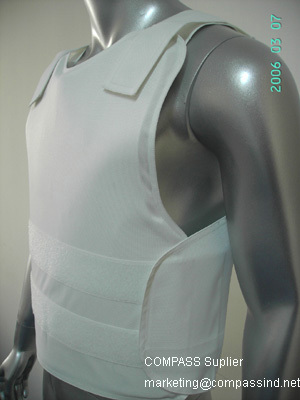 Our clients can avail from us Concealable Bullet Proof Vest which is a very comfortable body armor. As the name suggests it can be concealed under other clothing. The sides and shoulders of the Concealable Bullet Proof Vests are adjustable and the upper straps come with Velcro. We provide our clients various options in colors. Available in colors white, grey, yellow, black, camouflage, etc. Protection area : 0.25, 0.28, 0.30, 0.32sq.m.